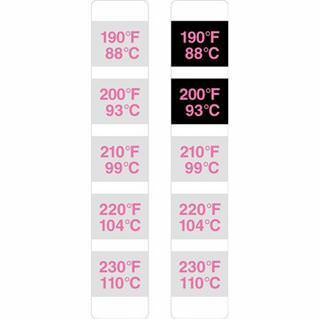 Thermostrip DC, is a highly accurate heat indicator designed to assist with the drying, curing, laminating or bonding process. Labels permanently change from silver to black when exposed to rated temperature. *Please note that Set 1 labels must be shipped Overnight.